For any English teacher, prospective or current, who is looking to make the most of their time teaching in China, there is no better tool than Panda Guides' The English Teacher's Guide to China. The Middle Kingdom is one of the most fascinating and exotic places any Westerner can travel to. And that means things like culture shock, food and water safety, air pollution and a language barrier are only a few of the things that English teachers struggle with while living and working in China. Throw in the uncertainties of a foreign job market and a notably different classroom experience and educational structure than in the West, and you have one challenging recipe for any foreign teacher to tackle. 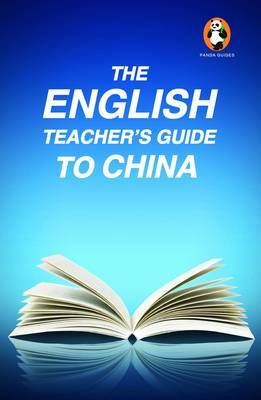 As long-term expats themselves who have for years run the gauntlet of teaching English in China, the authors and editors of this book have created a manual of first-hand experience and advice - both practical and technical - on everything an English teacher can expect to face in China. With chapters on Getting Prepared; Chinese Culture; Life on the Ground; Teaching & Working; Songs, Games & Worksheets (over 75 total, so teachers will always have something for class); an English Grammar Guide; a Mandarin Phrasebook; and a Directory of Language Schools, as well as a collection of true stories from teachers of all walks of life, The English Teacher's Guide to China is a veritable bible for new teachers and Old China Hands alike.